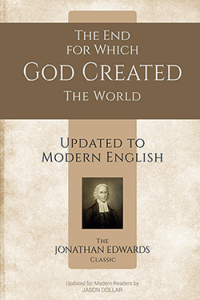 Jonathan Edwards (1703-1758) is best known for his role in the Great Awakening and his sermon, “Sinners in the Hands of an Angry God.” Edwards was one of the greatest theological minds America has ever produced. I read this well-known work on Kindle, and I must say, I had to wade through it more slowly than usual. Edwards was proposing, of course, that God created the world for His own glory. He writes, “Why has God created the world? When God answers that question, he does not slip from his own mind. His ultimate goal in creating the world is to plainly show a supreme honor and respect to himself. He has clearly stated this to us. Furthermore, he is self-sufficient, unchanging, and absolutely independent of any other being. Therefore, he is morally obligated to show the highest honor to himself, a fact that he is unable to forget.” Since there is nothing higher or holier, or more good than God, everything that exists is best when it mimics Him. In fact, God loves what He is ultimately for this reason.